Facilities management and plants at work feature in two publicity events this week. World FM Day 2016 celebrates the work of 25 million facilities management (FM) professionals around the world for the integral role they play in shaping our built environment. Events in the World of FM will be held throughout the week. As part of World FM Day, we have been posting a few pictures of #facmancolin the chameleon on green roofs. Facilities managers, in our experience, have always been relatively positive about green roofs and walls. Recognising that green roofs can reduce overheating in spaces below, the green roof is seen as potentially reducing the cooling needs of a building. In talks, when discussing biosolar roofs, the cooling effect of the vegetation on the panels sparks interest. Cool air around panels generated by plants and soils means cooler air entering the chillers. This reduces the amount of work the chillers have to do. These micro benefits do not register for many, but building services and FM get it. Increasingly, FM is under pressure to reduce the energy needs within buildings. 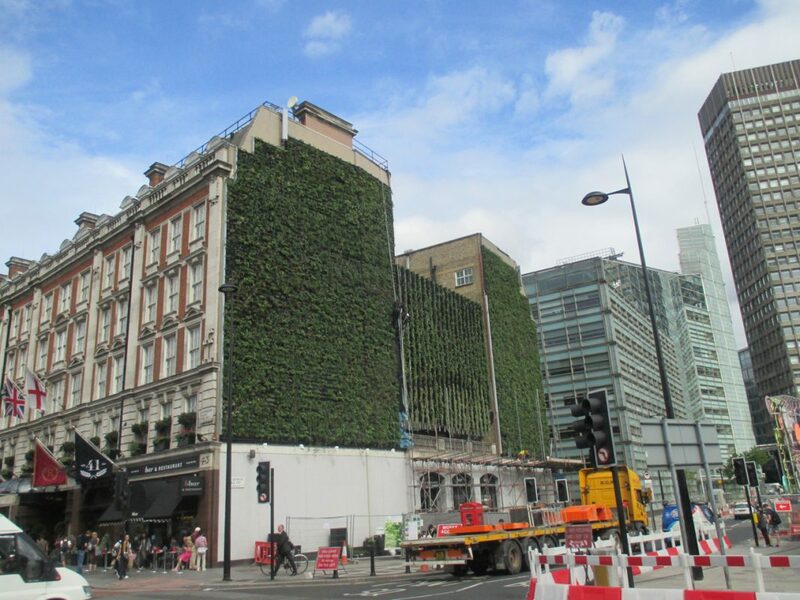 The benefits of green roofs and walls are likely to be increasingly embraced by building services managers. 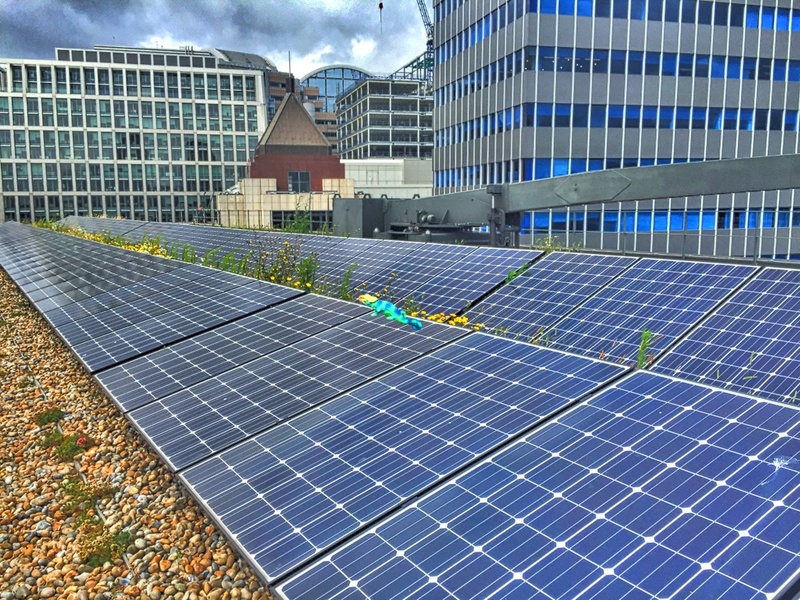 In London, a number of buildings with green roofs have recently had solar panels installed amongst the vegetation and soil. This is a multi-beneficial approach to adapting buildings to the realities of energy use and climate change. 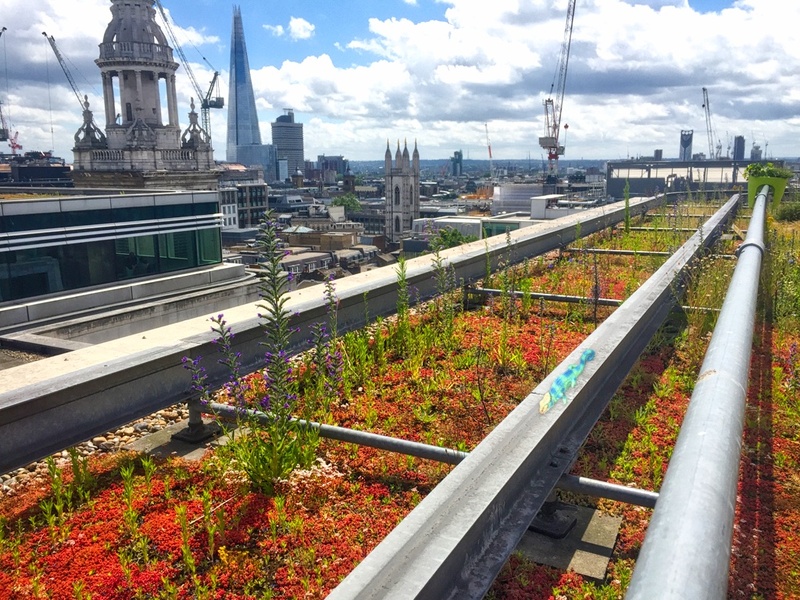 Here at livingroofs.org, we are pleased to see that FM are recognising that a green roof is not all about energy – they realise that for the companies that they work for, the broader sustainability agenda is also important. A simple sedum roof is not on the cards – delivering real, meaningful biodiversity through retrofitting wildflowers and greater diversity is now fully embraced by many. These positive effects can reduce absenteeism by up to 60% in offices and increase productivity by 15%. There is now also a body of evidence being gathered that access, both physically and visually, to green spaces on buildings but outside can also have a positive effect on the work life balance and productivity. The health and well being of the internal and external environment of a building is the principle role of Facilities Management. In the past their has been an reliance on mechanical kit to achieve this. FM need to embrace the role that plants can play in reducing the need for mechanical equipment. 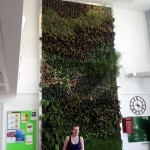 It is time to let the plants help take the strain and improve the internal and external environments of buildings.